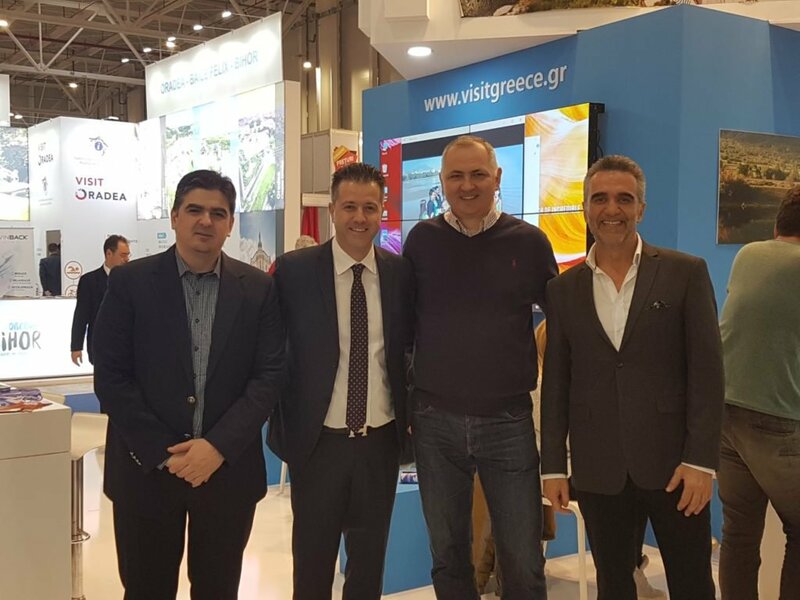 Greek hoteliers are reaching out to Southeastern Europe by starting with a strong presence at Serbia’s International Fair of Tourism held in Belgrade, and at Romania’s TTR hosted in Bucharest, last month. Aiming to create a network of cooperation among Balkan hotel federations and associations in the Southeastern Europe region, the Hellenic Federation of Hoteliers (POX) has planned a series of actions and initiatives including participation in a number of travel shows and exhibits. In this direction, POX President Grigoris Tasios (photo above, 2nd L) met with tourism and hospitality professionals in both Serbia and Romania on occasion of the travel shows there. Topping the agenda of talks were issues of hotel rating systems, services, infrastructure, training as well as the exchange of know-how. POX is hoping to serve as a model for hotelier associations in the wider Balkan region particularly in view of a constantly changing and competitive environment, “where partnerships can boost the tourist development of the wider region and promote it as a very attractive and quality destination,” the federation said in a statement.